Qantas Airways has announced the purchase of over 100 new aircraft, the creation of two new airlines and a radical overhaul of existing fleet as part of a new five year plan to ensure its survival. New low-cost airline Jetstar Japan will be joined by an all new premium Asian carrier, while a $400 million overhaul of existing in-flight entertainment, aircraft interiors and airport lounges will be launched to meet changing demands. As many as 1,000 jobs will go under the plans, setting Qantas up for a battle with unions, as it seeks to return to profitability. Chief executive Alan Joyce stated Qantas had been forced to act as it faces serious structural challenges, largely to do with the progressive deregulation of the Australian market, the influx of competition there and abroad, and a high cost base. “Today a large numbers of our routes, primarily to Asia and Europe, are loss-making, with no improvement in sight,” he said. A powerful brand, strong domestic demand, a profitable loyalty programme and the development of Jetstar, were all, however, cited by Joyce, as reasons Qantas was able to relaunch from a “position of strength”. Qantas outlined plans to partner with Japan Airlines and Mitsubishi Corporation to create Jetstar Japan – a new domestic airline designed to bring lower airfares to customers in the country. 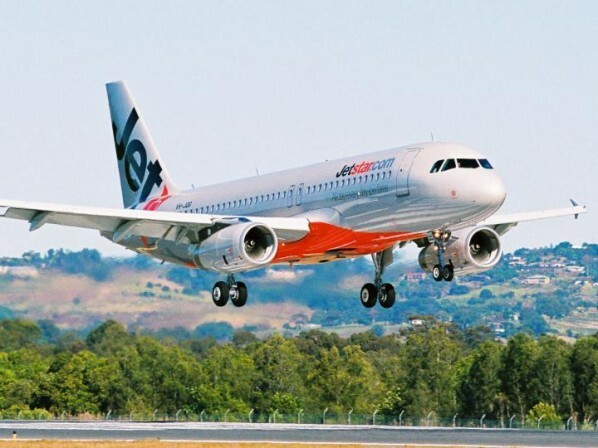 Each partner will hold a third of the airline, on a voting-rights-basis, with Jetstar Japan expected to commence domestic operations by the end of 2012. Operations will be based at Tokyo (Narita) and Osaka (Kansai International), with other destinations under consideration including Sapporo, Fukuoka, and Okinawa. Jetstar Japan also plans to ultimately offer short haul international services to key Asian cities, making travel more accessible and appealing to millions more people. The airline will launch with an initial fleet of three new Airbus A320 aircraft, configured for 180 customers in a single class, growing to 24 aircraft within its first few years. Total capitalisation commitment for the new airline is up to ¥12 billion. JAL president Masaru Onishi said the partnership will allow the Japanese carrier to competitively serve a larger part of the Japanese market. “Jetstar’s entrance to Japan, as a proven successful low-cost airline operator, will revitalise our domestic air transportation market,” he said. With the growing importance of Asia now apparent, Qantas confirmed it intends to invest in a new premium airline based in on the continent. This joint venture airline will have a new name, a new brand, new aircraft and a new look and feel. The airline will not be called Qantas but it will leverage all Qantas’ know-how, making the most of its brand management, aviation safety, customer experience, finance, and marketing skills, as well as its corporate customer relationships. “We have narrowed down our location options and an announcement will be made when we have completed negotiations,” added Joyce. Qantas also confirmed today it would invest $400 million in new international lounges, new in-flight entertainment and aircraft refurbishment. The investment is part of the Qantas Group’s five-year plan to build a truly modern, customer-focused and competitive global airline business. New lounges will be built in Los Angeles, Hong Kong and Singapore to complement recent upgrades to those in Sydney, Melbourne, Canberra and Perth. Extensive upgrades to Boeing 737 and 747 aircraft operated by Qantas were also outlined. Key to the success of the five year plan is Qantas’ relationship with Airbus. Joyce stated Qantas had placed an order with the European manufacturer for up to 110 new aircraft from the A320 family – confirming its position at the short-haul plane of choice. “This is a major investment in our future,” Joyce added. Of this order, between 28 and 32 aircraft will be current generation A320s, with 78 to be next-generation A320neos. Aircraft will be used for the new Jetstar Japan, to replace leased aircraft with more efficient models, and to support existing Jetstar operations. As a result of the changes, Qantas will shed 1,000 jobs, with roles to go among management, pilots, cabin crew and engineers. However, Qantas expects the majority to come through voluntary redundancy.